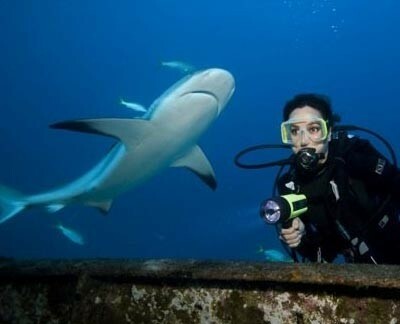 One of the most popular shark diving destinations in the world is Nassau, Bahamas. The Bahamas Marine EcoCentre, in collaboration with the Bimini Biological Field Station (BBFS) is once again offering scholarships for two students to intern at the prestigious Bimini Shark Lab. 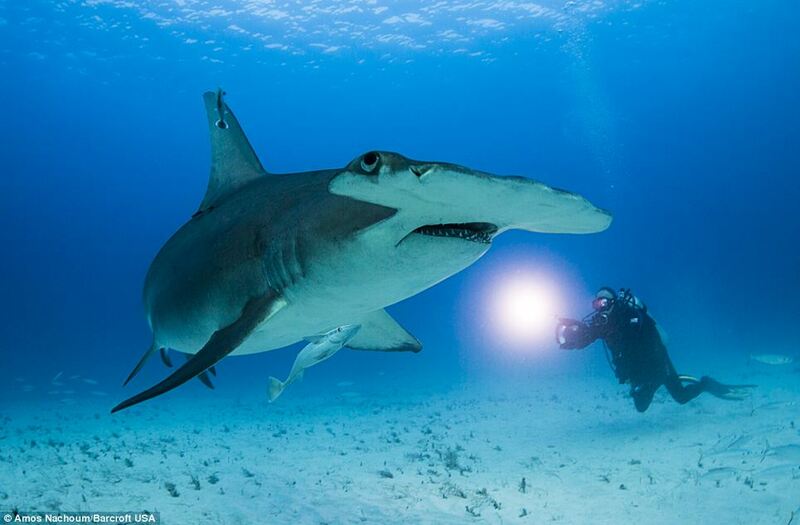 Photos and video of Hammerhead sharks, with close-ups of their razor-sharp teeth just inches away, captured by brave photographer Amos Nachoum, 63, during expedition off coast of Bimini, Bahamas. 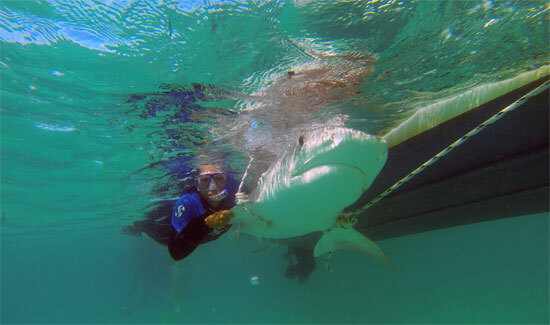 Local diver, Cristina Zenato, has received international acclaim as a ‘shark whisperer’ after reaching elbow deep into the jaws of a Caribbean Reef Shark to extract a lodged fishing hook. While on a dive, Christina Zenato noticed that a shark had a hook stuck in its throat. Opening the shark’s mouth, she reached down its throat and pulled the hook out. Jean Sebastien Finger of the Bimini Biological Field Station studied Lemon Sharks in the Bahamas and found evidence that the fish have ‘different degrees of sociability and curiosity’. Moore Bahamas Foundation, BREEF, Cape Eleuthera Institute and SUNY make it possible for C.V. Bethel students to learn firsthand about sharks in The Bahamas. Two Bahamian students helped tag white-tipped oceanic sharks along with marine scientists from Stony Brook University’s Institute for Ocean Conservation during a recent research expedition in The Bahamas. Photographer Andrew Murch captured dramatic photographs during a dive in The Bahamas which turned into a close encounter with curious lemon sharks millimeters away from his camera.